Considered to be one of the best music artists of all-time in terms of album sales, Frank Sinatra was a once in lifetime talent. 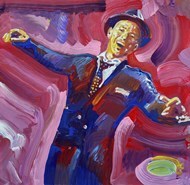 Born in 1915 in New Jersey, Sinatra started singing at an early age and his professional career took flight in the 1930's. 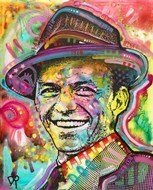 Frank Sinatra’s most beloved songs include “Come Fly With Me,” “My Funny Valentine,” “Fly Me to the Moon,” and “My Way.” Not only was Sinatra an amazing talent when it came to singing but he has also starred in many Hollywood films. 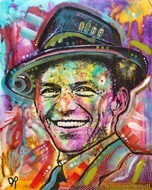 One of the founding members of the Rat Pack, Sinatra was often affiliated with the groups other members Dean Martin and Sammy Davis Jr.
Our Frank Sinatra art and prints would be a great way to show off your love for Sinatra or the perfect gift for Frank Sinatra fans. 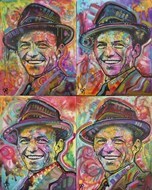 Our Frank Sinatra prints would look great in your family room, office, and game room. 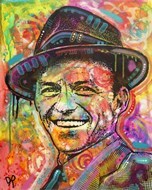 Find Sinatra prints including vintage movie posters, vintage prints, abstract Sinatra art, Rat Pack art, and much more. 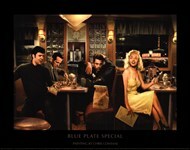 When you shop with ChefDecor.com you have the option to customize your art with framing and on canvas options. 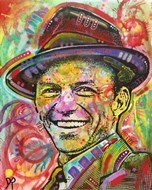 You can find exclusive Frank Sinatra art and prints on ChefDecor.com right now!